Our low-viscosity epoxy sealer penetrates deeply to preserve, protect, and repair wood. Use it to restore damaged, rotten wood or to seal new wood. Environmentally-friendly formula contains no harmful VOCs and no odor. Sizes: Available in Pint, Quart, Half-Gallon, and Gallon Kit sizes. All kits include resin and hardener. TotalBoat Penetrating Epoxy is designed to sink in deeper and cure stronger than other epoxies, without the odor or harmful VOCs. At a 2:1 instead of 1:1 mix, it’s only slightly thicker than other penetrating sealers, but that’s a good thing. Low viscosity and 100% solids formula means more material to fill the grain, seal the wood more completely, and provide extended protection against rot-causing moisture. And, because there are no harmful VOCs, there’s no toxic odor. Our penetrating epoxy works from the inside out to saturate rotted wood deeply. It penetrates both the porous, rotted areas, and the surrounding, healthy wood. As it cures, it effectively bonds the rotted wood and the sound wood to restore structural integrity. 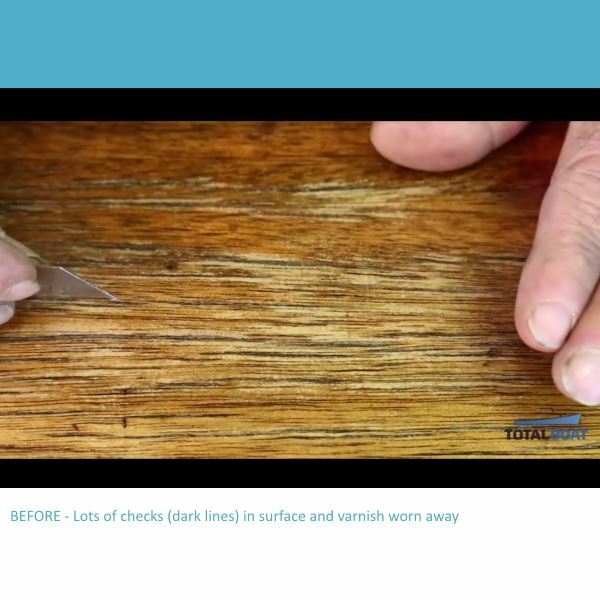 Since it’s hard to know exactly where the rotted and the healthy wood meet, especially in cases of extreme rot, drill a series of holes into the decayed wood and inject Penetrating Epoxy to start the restoration process. It sinks deeply into dry, punky wood and strengthens it. The longer an epoxy takes to go off, the deeper into wood it will seep. TotalBoat Penetrating Epoxy cures slightly slower in order to create a hard, waterproof surface that not only prevents rot, but provides a stable coating for varnish, primer, or paint to adhere to more tenaciously. Since it sticks better, it’ll stay stronger longer to keep UV-resistant topcoats from failing. The longer cure time is definitely worth the longer-lasting protection and the time and money you saved preserving existing wood. 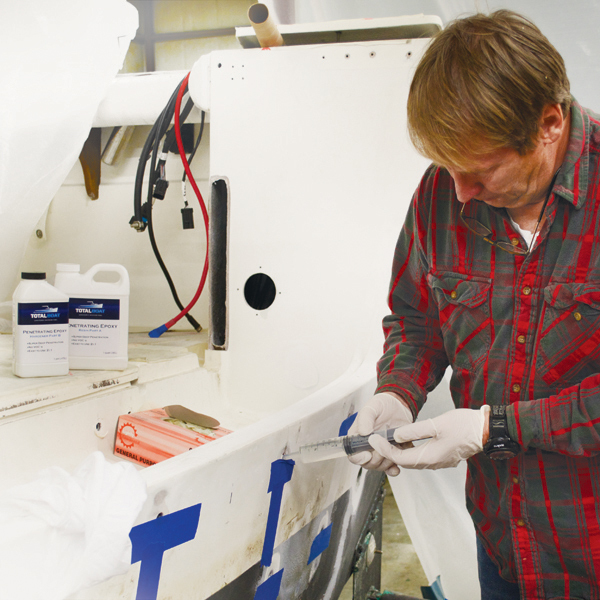 For temperatures from 40-65°F, use TotalBoat Cold Weather Penetrating Epoxy. 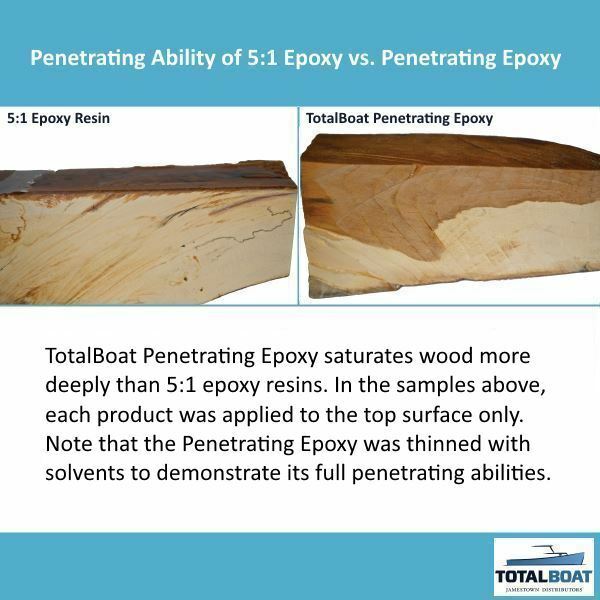 When temperatures are 65-90°F, use TotalBoat Penetrating Epoxy. Each formula provides excellent coverage and cure. The wood must be bare and unfinished. 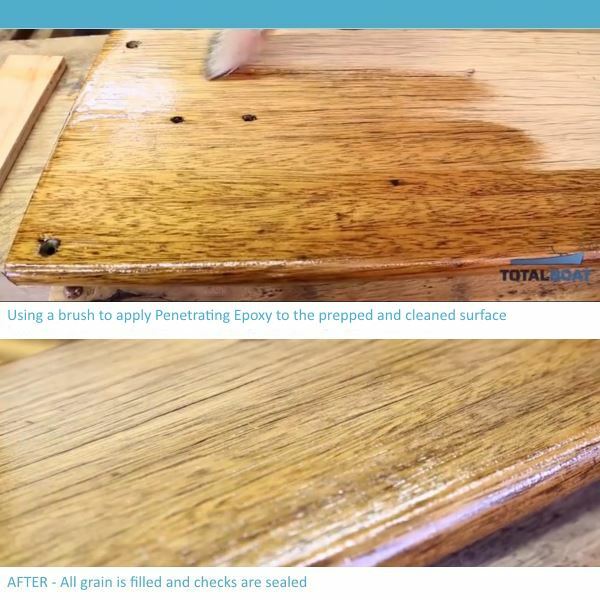 TotalBoat Penetrating Epoxy will not penetrate and level well when applied over some stains. Always test an area first. DO NOT USE on top of Minwax oil-based stains. TotalBoat Cold Weather Penetrating Epoxy should not be used as a fast-cure epoxy in warmer temperature conditions because doing so can be unsafe and result in premature exotherm, improper cure, and brittleness.